Our site is officially closed from December 24th – January 1st and I’m using some vacation time to take today, tomorrow, and January 2nd off, so I have 2 full weeks off! I’m so excited! I’m planning on spending a few days with my parents, but the rest of the time will be spent at home. My boyfriend and I are planning a trip to the zoo and some other activities, but I also want to get some projects done around the house. Just like previous years I’ve put together a Christmas Break to-do list (you can see the previous lists here). I’ve put 10 projects on my list, but of course I’m not going to finish them all. I like to give myself options. I hope you all have a Merry Christmas and Happy New Year! I’ll be back in 2015 to share what I accomplished over Christmas break plus some new, fun projects! That's a long to do list! 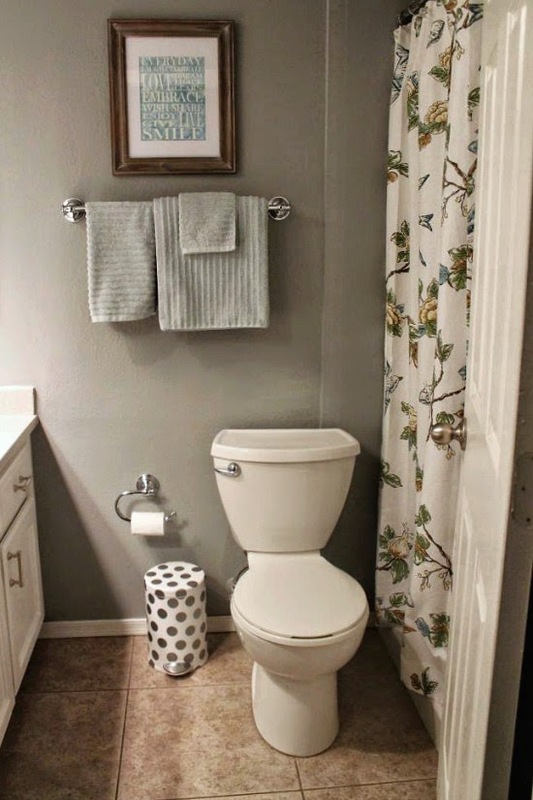 I am really loving how your bathroom turned out. Thank you for sharing your decorating journey. Have a wonderful Christmas break! I think that's a fantastic to-do list! I love your house! And your couches! I should make a list... and check it twice... hehe. Merry Christmas BBFF! I hope you have a wonderful two weeks off!